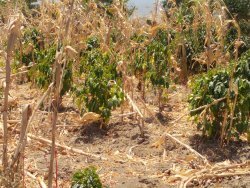 More than 80% of Tanzanians live in rural areas and depend on crop and livestock production for their livelihoods. 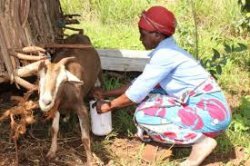 Among livestock, goats rank second only to CATTLE in terms of their contribution to the income and nutrition of the rural poor. 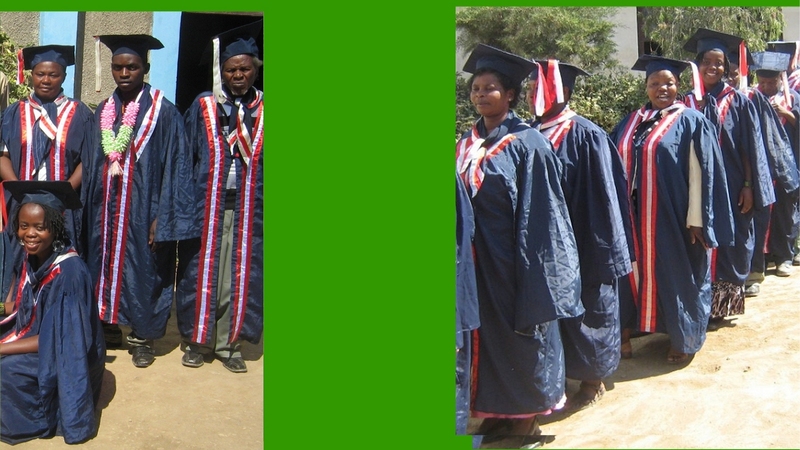 Years ago UCT was able to enable ATBS to purchase a 12 acre farm which for years has been used to produce corn to help feed the Pastors that come to the Bible School. 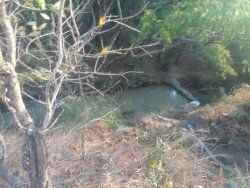 The land runs down to a river along the boundary and will be extremely helpful when we start our animal farming. 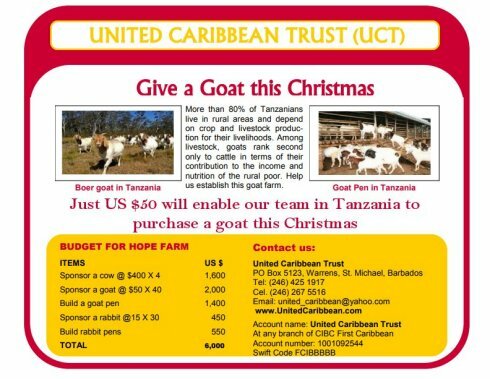 Just US $50 will enable our team in Tanzania to purchase a goat. 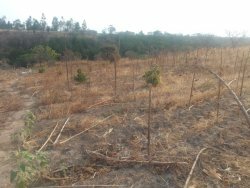 Land has been cleared in preparation for planting Moringa for animal fodder. 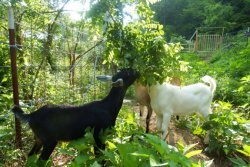 Moringa being an excellent source of nutrition for cows, goats and rabbits. 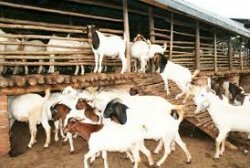 A young man from the church has been allocated to care for the goats and work is begining to establish housing to facilitate them. Goats can be kept even if the land available is small. One of the obstacles to the keeping of dairy cows is the expense of building and maintaining suitable housing. In the case of goats, a low-grade cross requires very simple housing. Even in the case of high-grade animals, it is possible to construct houses entirely from locally available materials. 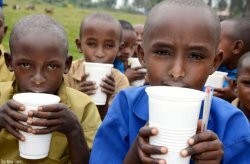 In many parts of Tanzania milk is scarce and expensive, generally in these areas the diet is high in starch but low in fat and protein which milk could provide. Dairy goats provide an excellent opportunity for such people to improve the quality of their diet while increasing the overall productivity of their farm. Goats milk is easier to digest than cows milk, and also much less liable to cause problems of 'allergy' (intolerance). For this reason it is particularly useful for infant feeding. It must be stressed that the best milk for a baby is its mothers own milk, but if this is unavailable, or at weaning, goats milk is the next best choice. Dairy goats are fast-growing, but tend to be thin. However, if the females are mated to meat males, the kids have excellent properties for meat production. 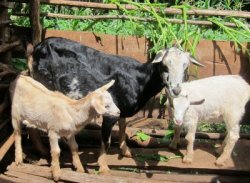 Sale of young goats provide lump sum income for school fees, medical bills etc., and are an important part of the economics of goat keeping. 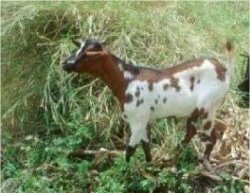 Small East African (SEA) is the name given to a type of goat which is found throughout Eastern Africa including Tanzania. These goats are predominantly kept for meat. They grow slowly, but have a heavy-set conformation. Among the valuable characteristics of these goats is a tolerance to heartwater (an endemic tick-borne disease) and worms and possibly other diseases such as mange. The hides give a good quality leather. 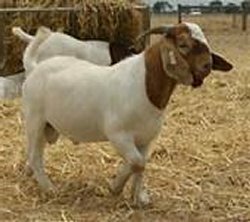 Boer goat is a highly meat productive goat breed which originated from South Africa. They are of very big sized goat among the other popular meat goat breeds. They also produce milk highly, but mostly suitable for meat production. Boer goats are generally white colored with red or brown heads. There are also some completely brown or white colored Boer goats. They have a pair of long and pendulous ear. 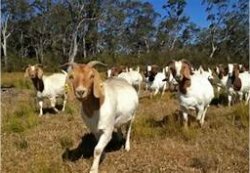 They are very fast growing goat breeds and for this reason they are very suitable and most of the farmers prefer them for commercial goat farming purpose. Even without expensive high-energy supplements ('concentrates'), a good dairy goat can produce 2 litres of milk a day, just feeding on the greenstuff available to local farmers. One of the best fodder crops is Moringa. Moringa inclusion at all levels increased nutrient intake, improved digestibility and nitrogen utilization with the highest values being observed with the sole Moringa foliage diet. Average body weight gain also increased with increasing levels of Moringa foliage. The highest performances in terms of feed intake, nutrient digestion, nitrogen utilization and bodyweight gain was obtained from the sole Moringa supplemented goat. It can be concluded that Moringa foliage could be replaced satisfactorily with up to 100% inclusion level.